I wasn’t holding her still so she wouldn’t lunge away and bite at the antlers flopping on her head. 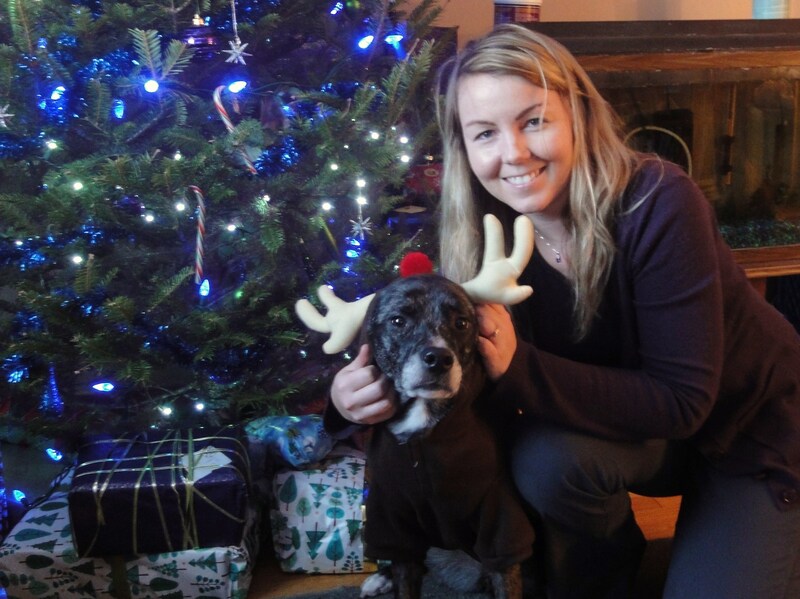 I don’t know what you’re talking about… Shiva loves her reindeer sweater, honest! She practically begged me for it. If half the presents under the tree weren’t for her, I might feel a little guilty. But as it is, I think she’ll survive. Hi Kristine and Shiva, the antlers look great, well just “okay” but at least you didn’t put the red pom-pom on Shiva’s nose. The photo of you two together is really nice. Thanks Kristine. From the other side of the country, we wish you, PH and Shiva the very best, for Christmas and 2012. That is a seriously adorable picture! Oh Shiva…did she get you too?? 🙂 What is about the holidays that humans think they can dress us up any way they want?? But don’t you look so cute! Hope you are having a fab day. LOL! I love this picture! I have to laugh because when I did the reindeer antlers my dogs did nothing of the sort. They just sat down or laid down and looked like I had humiliated them. Shiva is a dog that doesn’t humiliate easily and I am glad. Merry Christmas Kristine, PHH and Shiva!